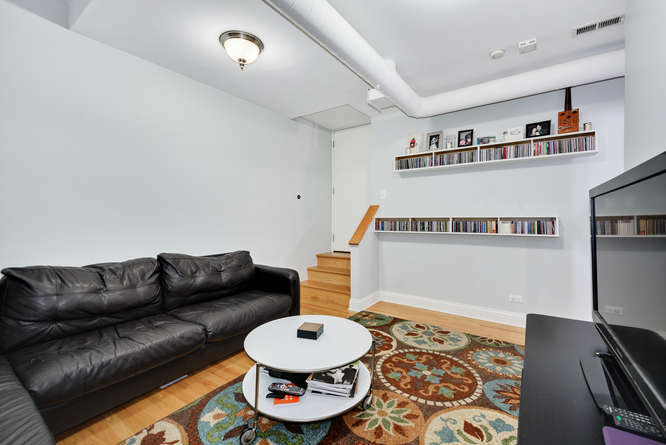 Light drenched beautiful and rare 2 bedroom, 2 bathroom duplex condo in hot Avondale/Logan Square. 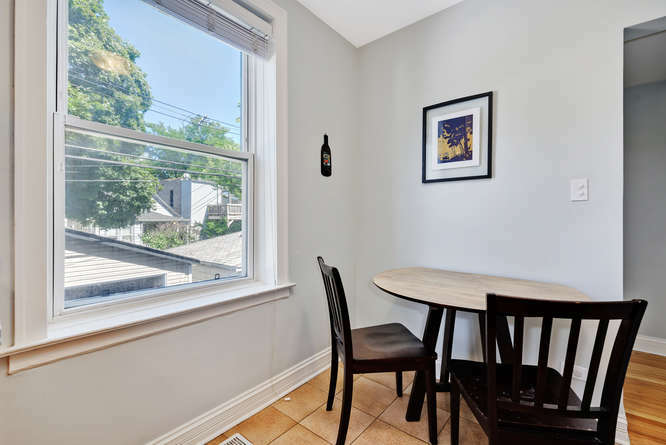 Completely updated, with a functional kitchen that features natural stone counter tops, 42″ cabinets, stainless steel appliances and a breakfast area. 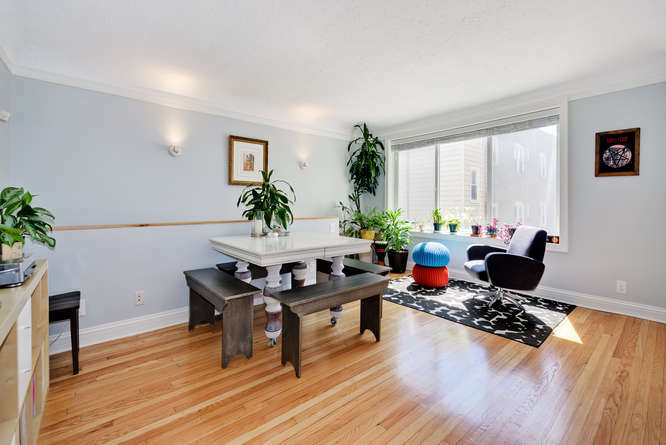 This condo lives like a townhouse, rare duplex condo with spacious bedrooms and ample closet space, hardwood floors throughout, washer and dryer in unit, a family room and a huge private deck. 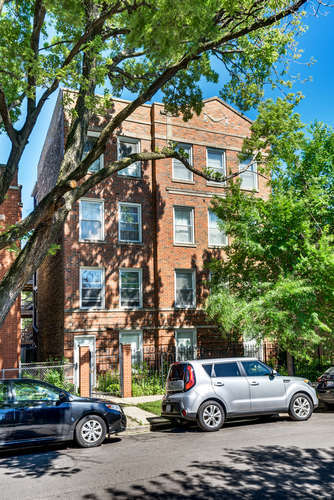 Have it all, spacious rooms, huge outside space in a financially stable building, walk to Logan Sq or Avondale, Blue Line, restaurants, easy access to 90/94. Ample street parking available. Note, Lower Level is NOT a basement, it is 3 steps below grade level. 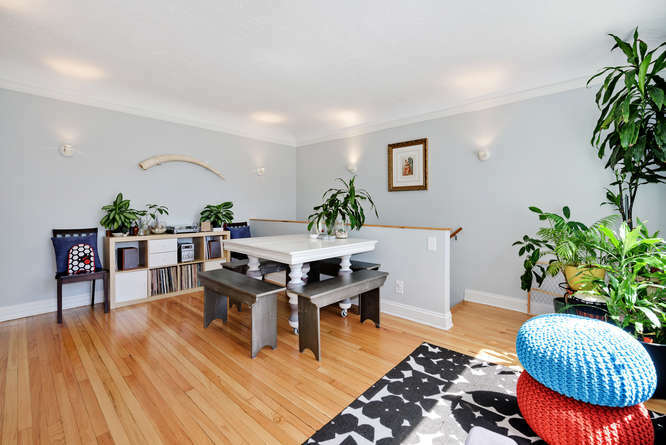 The living and dining room are west facing and have great natural light. Love walking into this graceful, light filled condo. 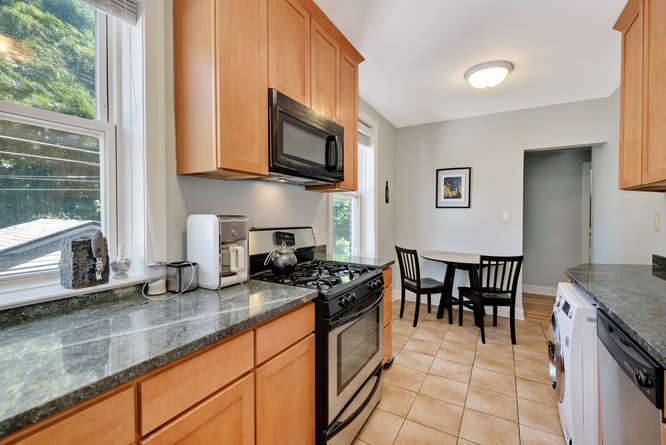 The functional kitchen has been completely updated with stainless steel appliances and a breakfast area. 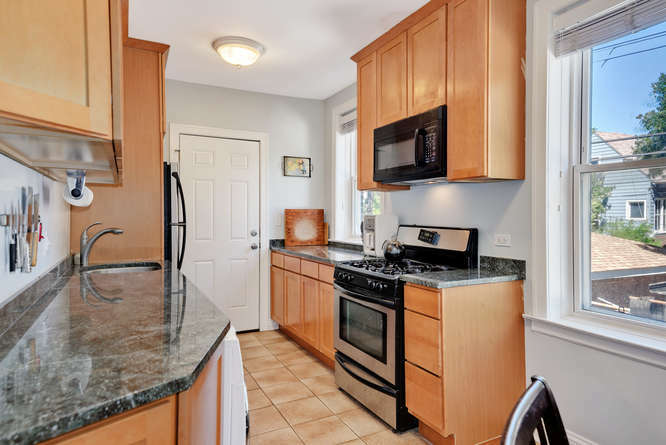 The kitchen has 42 inch tall cabinets and natural stone counter tops. 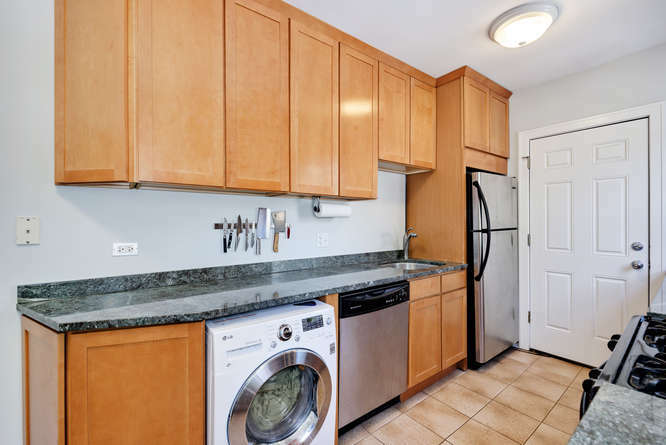 The kitchen includes all stainless steel appliances and European washer/dryer. Every kitchen should have a breakfast area such as this one. 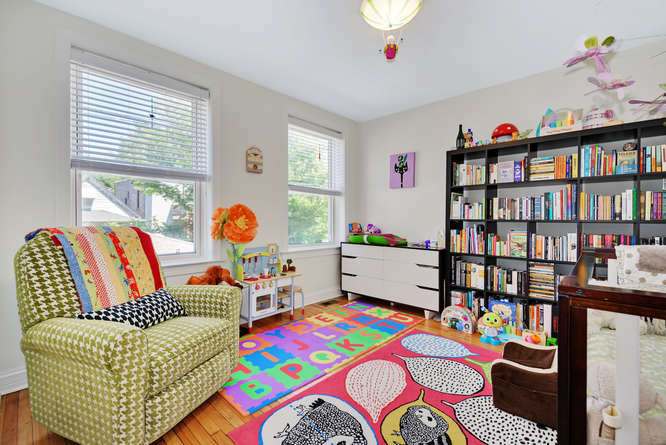 This awesome room can function as a family room or dining room. The master suite can easily fit a king size bed and plenty of bedroom furniture. 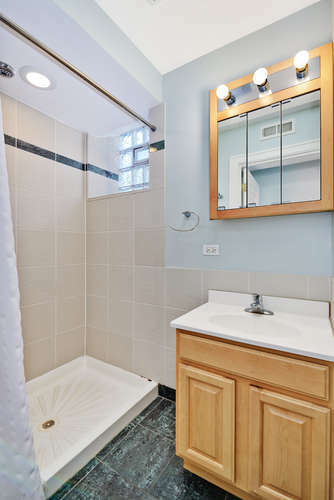 The master bathroom has tastefully selected tile and finishes and neutral colors. 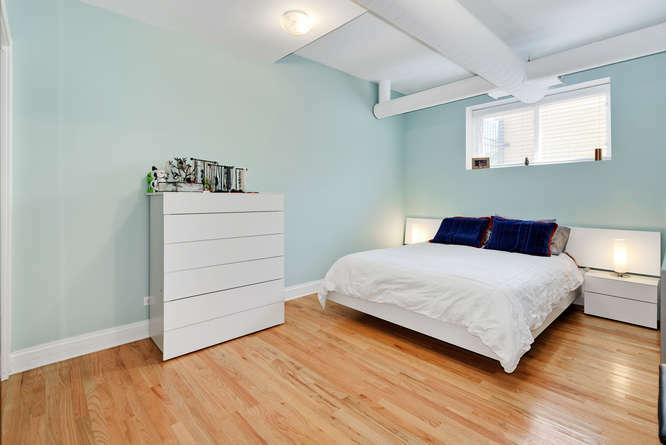 The 2nd bedroom is spacious and has plentiful natural light. 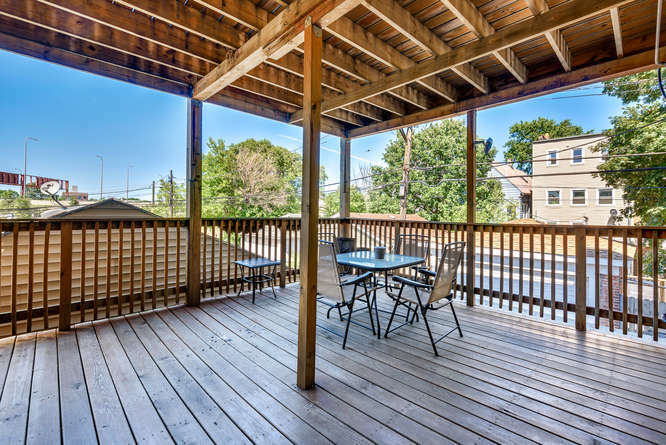 Enjoy summer grilling on your private deck. 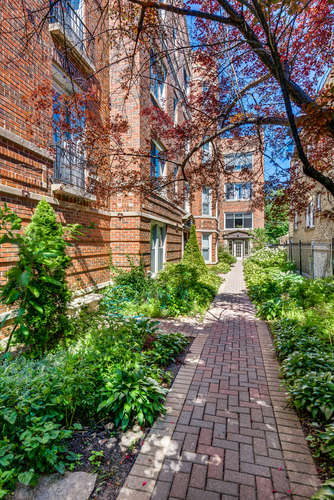 This financially stable building has a professionally landscaped courtyard entrance.